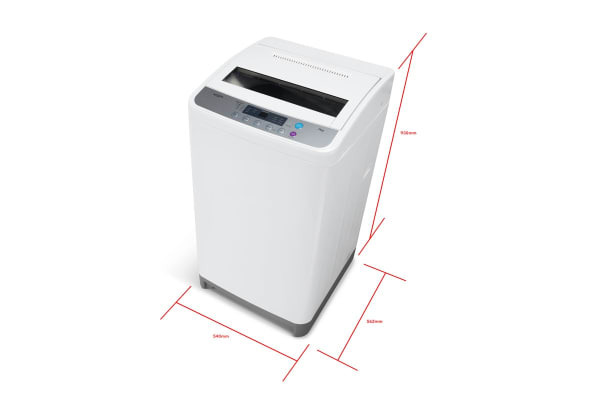 Make tedious laundry a thing of the past with this 7kg top loader, featuring six wash programs, fuzzy logic control and customisable water power and levels to get the best clean out of every load. 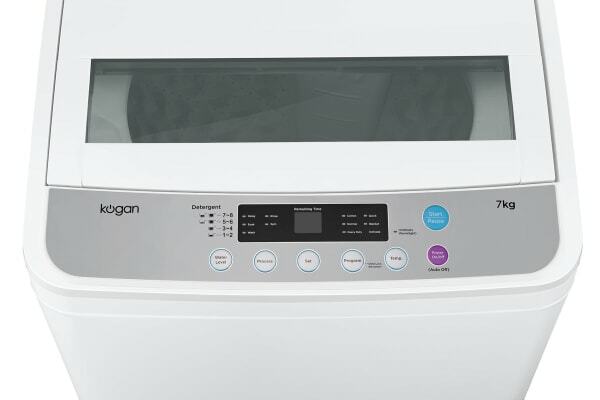 Offering a range of premium and durable appliances, Kogan offers the latest tech without the hefty price tag. Shop the whole collection here. The Kogan 7kg Top Load Washer can dissolve detergent faster than traditional washing machines thanks to the unique detergent tray and features a convenient delay start function and memory function, letting the machine will remember your program choice for next time (Normal, Cotton, Heavy Duty). Fuzzy logic checks how much dirt and grease is in the clothes to determine the best water level, wash, spin and rinse time for Normal and Heavy Duty programs, helping to reduce water consumption and wash times. 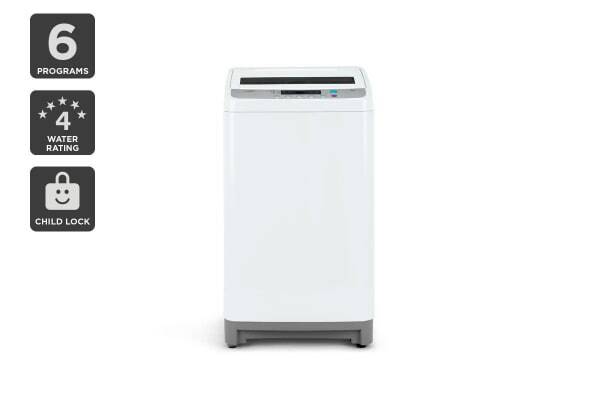 Whether you need a heavy duty clean for your doona or delicate wash for underwear, the large stainless steel drum, six wash programs and customisable water power and levels will deliver tailored cleaning for every load size. The child lock sounds an alarm if the lid is open for more than five seconds and stop working automatically to ensure no little fingers or people go for a spin.